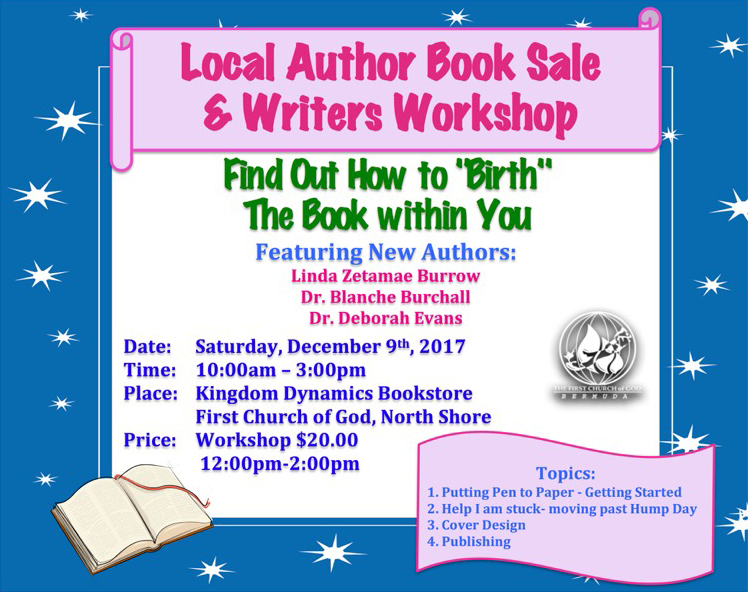 A Local Author Book Sale and Writers Workshop will be held tomorrow [Dec 9] from 10.00am to 3.00pm at Kingdom Dynamics Bookstore, First Church of God, North Shore. The event will feature new authors Linda Zetamae Burrow, Dr. Blanche Burchall, and Dr. Deborah Evans. Bookstore Marketing Manager Chantel Simons Smith said, “We are hosting a Local Author Booksale and Writers Workshop on Saturday, December 9 from 10.00am to 3.00pm, with the workshop from 12.00m to 2.00pm.